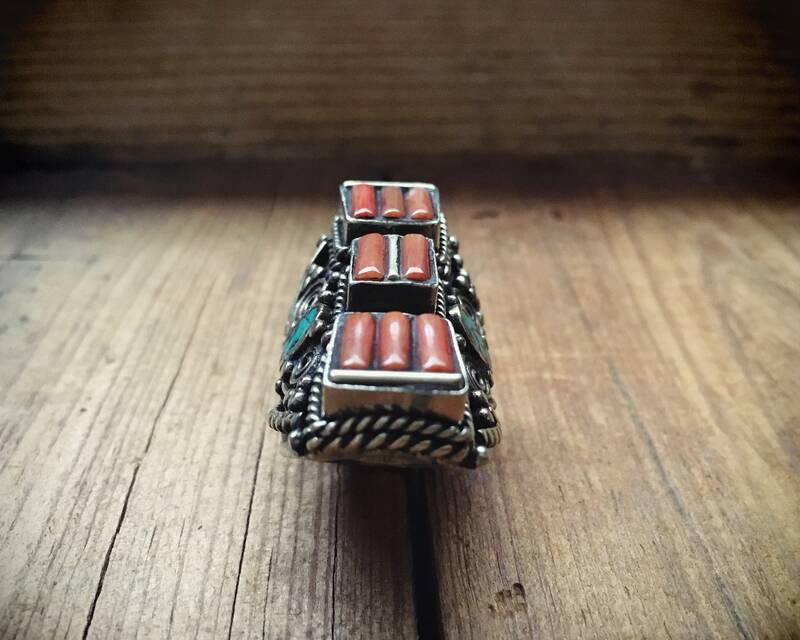 This ring is, in fact, more beautiful than it looks in the photos. The base is German silver, which is a nickel alloy, or perhaps a tribal silver that coin silver, which is 800 or less; thus, the golden hue. 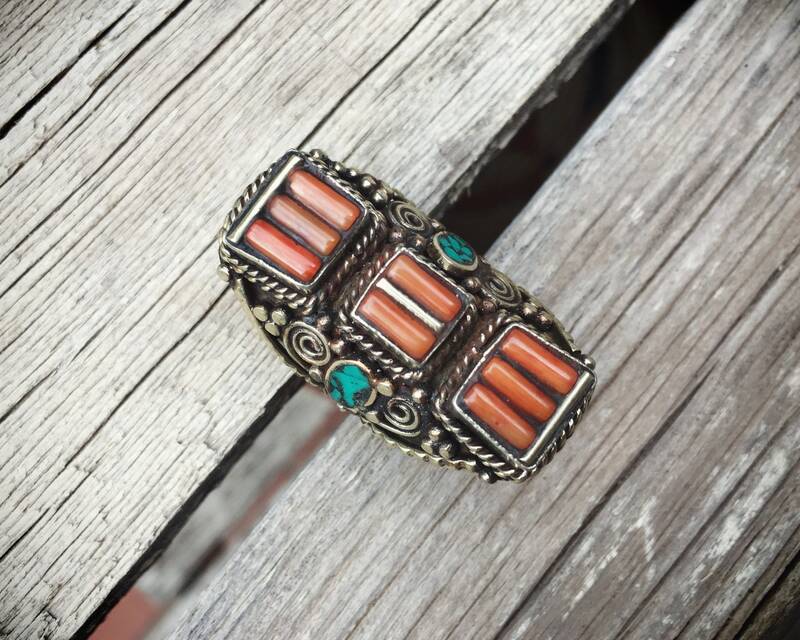 The ring features three panels inlaid with coral or glass beads meant to resemble coral set side by side in rows. 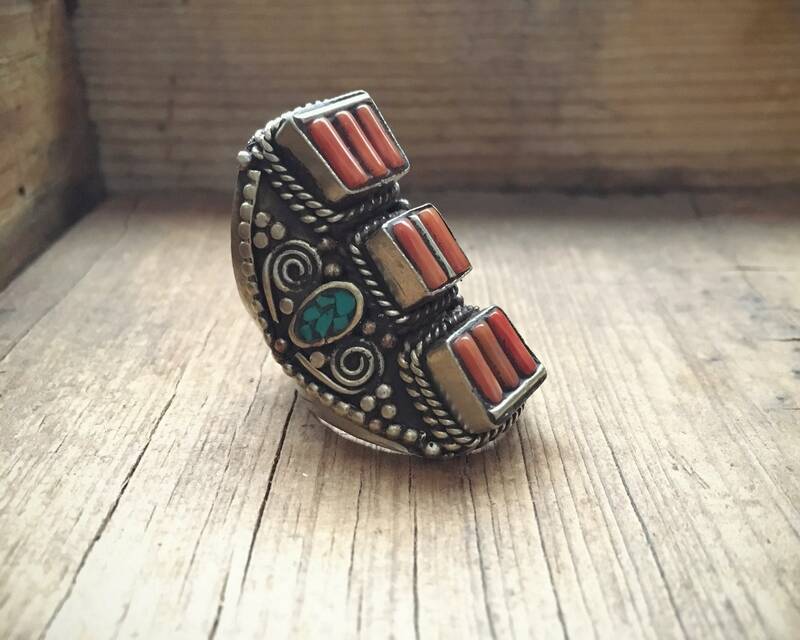 On each side is a small oval bezel with a blue-green colored enamel made to resemble crushed turquoise. 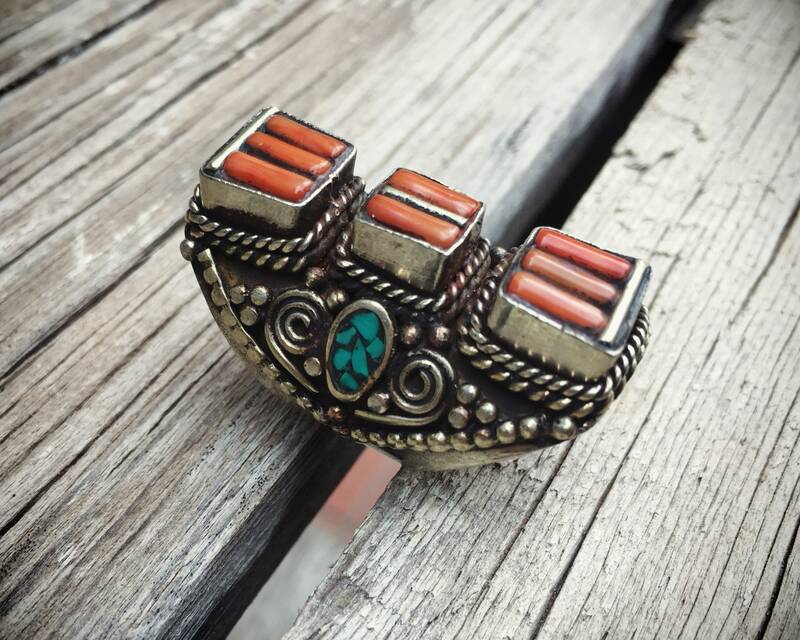 This style is a common style of Tibetan Nepali ring, many still made today. 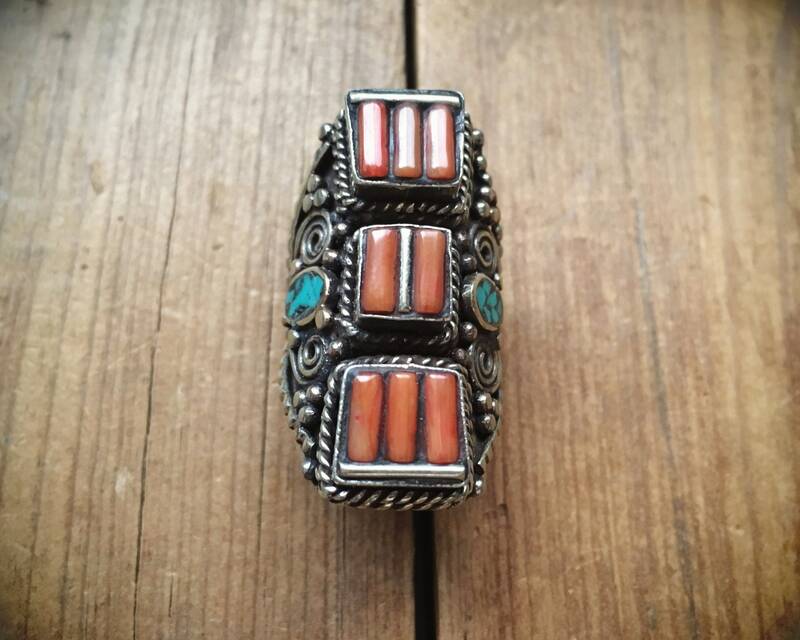 We can tell this one is older given the wear of the ring, especially at the underside where the band has worn thin at the edges. 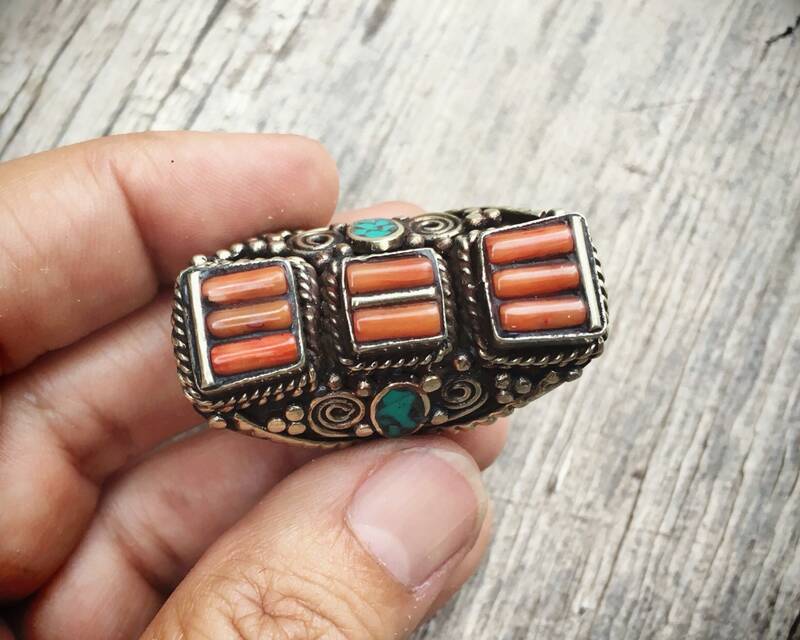 I've seen new Nepali rings with the same type of coral inlay, and the coral is bright red from dyes and the edges of the band not filed down and quite sharp. 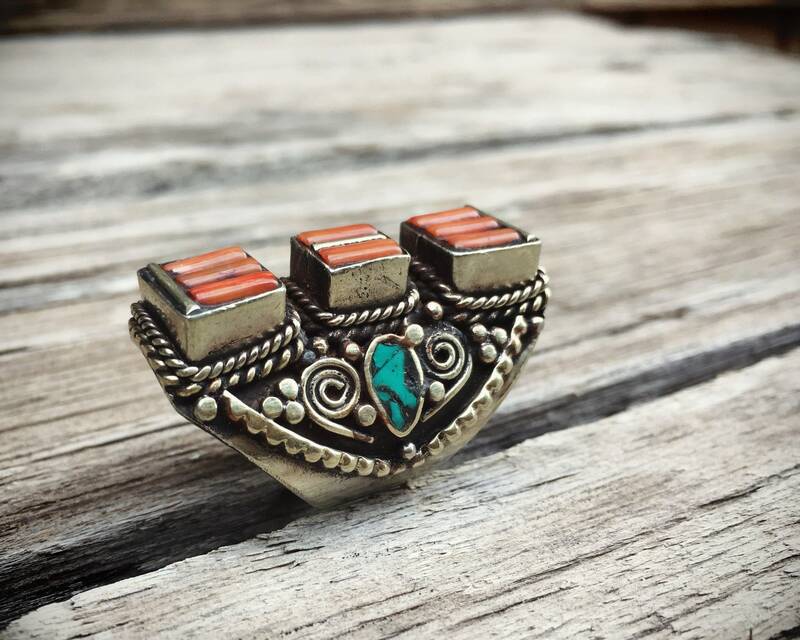 We believe this ring to be from the 1960s. 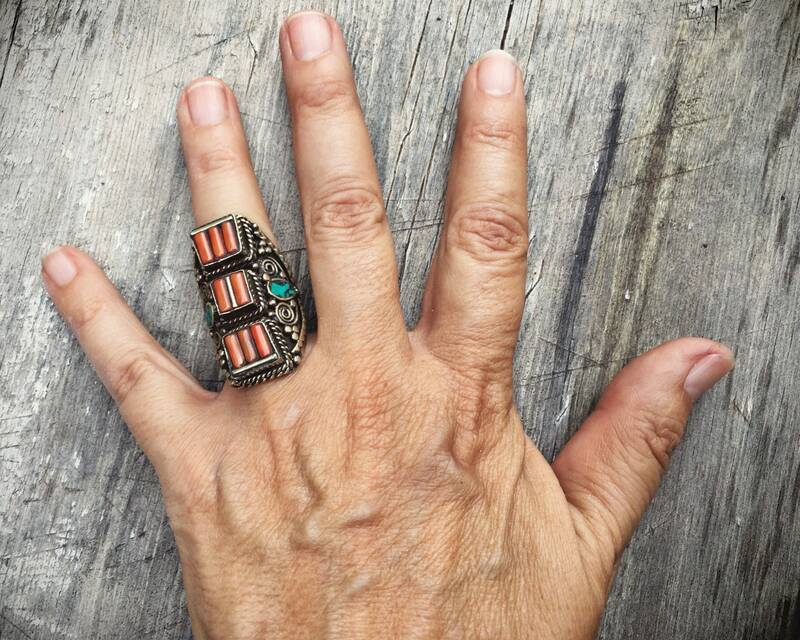 The ring is a Size 7.75 to 8; it’s hard to be certain with such a wide band. 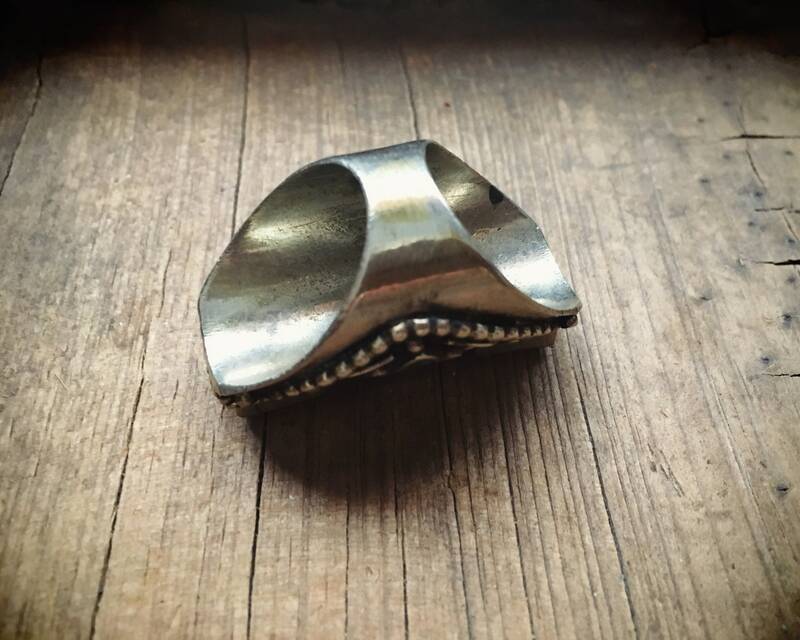 The length if 1-1/2” and width of the ring face including the part that starts to curve around sides is about 1”. In good vintage condition. 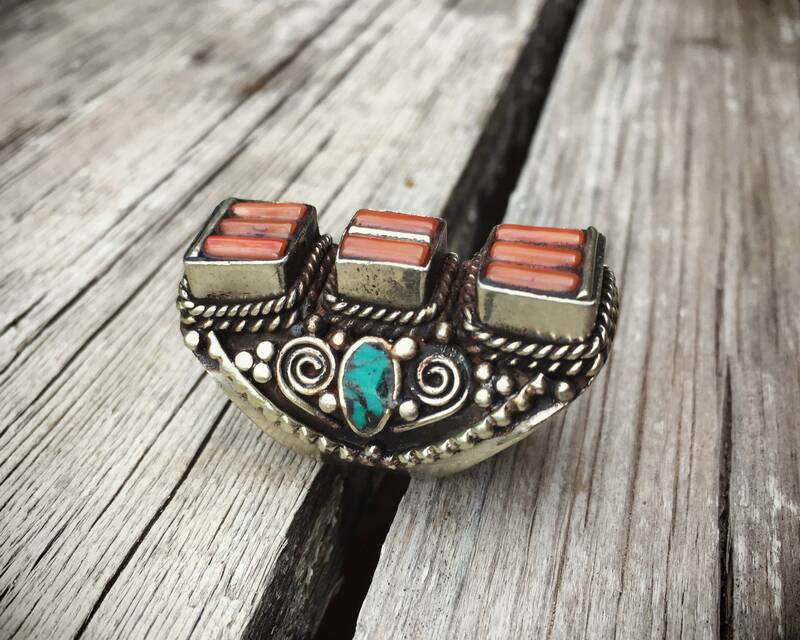 Even though it is a more affordable version of antique rings, it still has amazing presence and beauty.